The number of transgenders entitled to vote now stands at 1,701 from 900 recorded in 2012, an SECM official said. The highest enrolment of 311 transgender voters is done in Mumbai suburban. 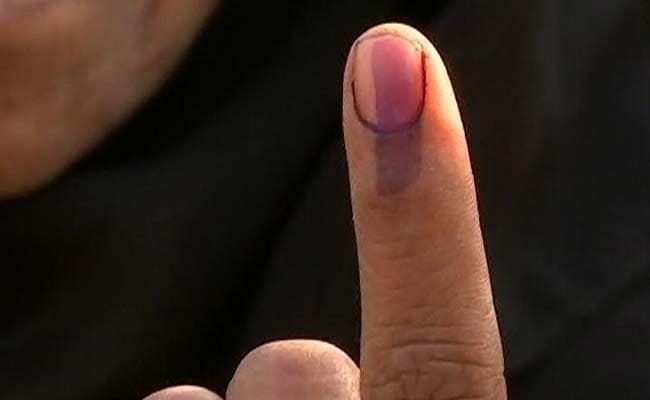 Mumbai: The State Election Commission of Maharashtra (SECM) has managed to nearly double the enrolment of transgenders in the voting rolls in the last five years, despite having little cooperation from their "gurus". The number of transgenders entitled to vote now stands at 1,701 from 900 recorded in 2012, an SECM official said today. The highest enrolment of 311 transgender voters is done in Mumbai suburban, he said, adding districts like Bhandara, Gadchiroli, Sindhudurg and Jalna have no transgender voters. "The state election commission has tried hard to bring the transgender community into the parliamentary system to ensure they get the right to vote. In 2012, the number of transgenders registered in the voters list was 900, it has been increased to 1701 after our constant efforts," the official said. He said the members of transgender community have to take permission of their "gurus" to enrol their names for Permanent Account Number (PAN), for Passport and even for enrolment in voters list. "Many a times, these gurus do not allow transgenders to provide documents. We held several meetings with gurus at Mantralaya to convince them. But, as voting is not mandatory in our nation, we cannot force anybody to enrol his or her name in the voters' list," he added. He said around six to seven gurus attended the last such meeting which was held in June this year. "Due to their efforts, more transgenders enrolled their names," he added. When asked why Bhandara, Gadchiroli, Sindhudurg and Jalna do not have a single transgender registered, the official said there is a possibility that the community may not be aware about it. Otherwise, tribal district such as Nandurbar has 12 transgenders registered. Mumbai city has 104, Ahmednagar and Pune has 118 each while Thane has 245 registered transgenders. "The special drive to register names in voters list for common people will continue till November 30 and the final list will be published on January 5," said the official. Before Lok Sabha polls of 2019, the special drive will be once again conducted, he added.